Errol Dyers was, by all accounts, a quiet man, not given to putting himself front and centre of any conversation. Yet, when he picked up his guitar – his “bak” as he would probably have called it – he spoke volumes. THAT was when he was “communicating”. That was when he had something to say. And when, in later years, he found his groove with the music of his roots, he spoke with a clarity that was understood by his audience. 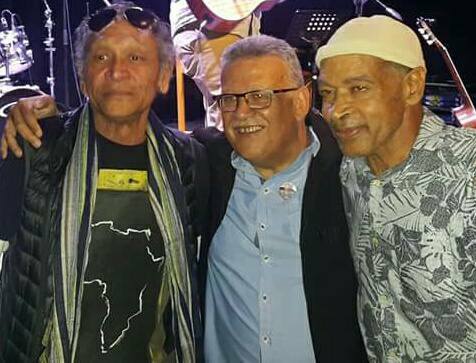 Call it ghoema, call it Cape jazz, call it what you will – that is when Errol Dyers, the “quiet one”, was at his eloquent best. That was the enigma that was Errol Dyers; the insouciant guitarist in the background that belied the musical intensity he brought to the game. Errol, aged 65, was buried at the weekend and with his death came an outpouring of grief on social media that sang his praises to the lofty heights: “legend”, “maestro” were a few descriptions on the Facebook pages. It would be remiss of me not to acknowledge his contribution on this website and give a better insight to person that is Errol Dyers. At a personal level, I can’t say I knew Errol all that well. Our paths crossed very early in his career when he was starting out in a group called Sacred Legion that also featured his brother Alvin. For a while, they were the hottest things in town playing the songs of Jimi Hendrix and Jeff Beck etc. But the group went the way most groups went back in the early Seventies . . . they folded and Errol never really settled into a long-term relationship with any group. I have most of the newspaper clippings of the stories I wrote during the time I covered the entertainment scene in Cape Town from 1967 to 1986, at which time I took a sabbatical of sorts for an extended period. Just once did I come across a reference to Errol as part of a permanent group. 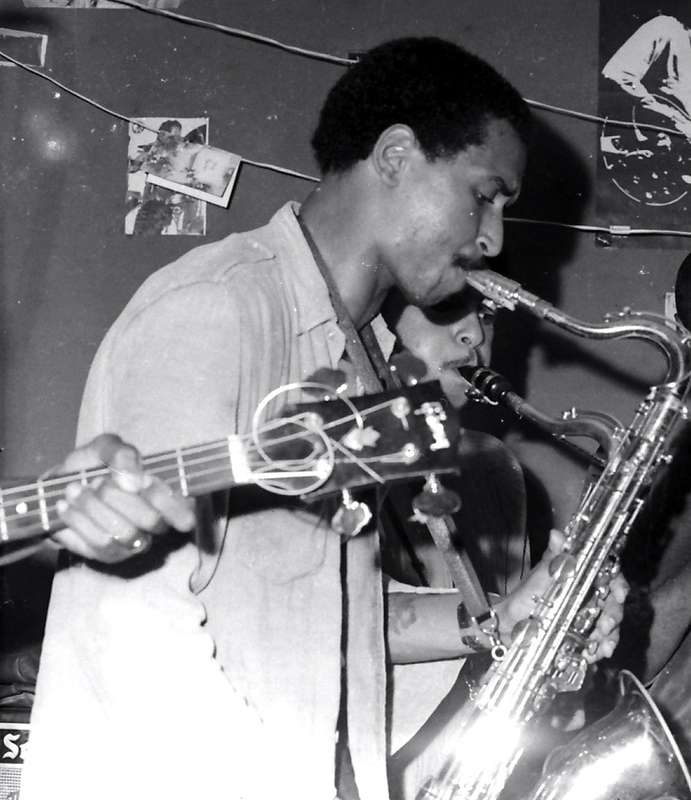 It was an outfit called Spectrum led by the then Chris Schilder (now Ebrahim Khalil Shihab) and they had a regular gig at the Vistula Tavern. Although I was away from the Cape Town scene for years, I kept in touch with who and what was making waves, particularly at the more serious end of the music spectrum where jazz flourished. 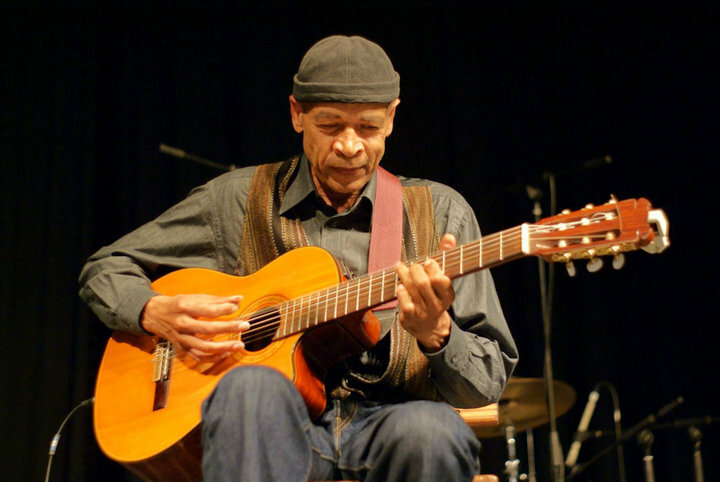 Invariably Errol Dyers name was in the mix, whether it was with one-off gigs and tours with Abdullah Ibrahim or in the recording studio as a session man with the Cape Jazz Band or some other top-notch artist. The picture that emerged, for a large part, was of a serious musician wanting to be an individualist with skills that could be harnessed by others. From doing cover versions of international stars in the early years, he segued into the jazz-funk field and found his comfort zone with the top local musicians on the Cape Town scene. His association with Dollar Brand, Robbie Jansen and, in particular, Basil Coetzee saw him embrace a sound that was a little closer to his roots. It led to a tour of the UK in 1990 and a live gig for the BBC. Saxophonist Basil Coetzee, an early influence on Errol Dyers. But the boy from Harfield, Claremont, was never going to be constrained by being part of another person’s view of the world. His individuality was always going to win out. Thus it was that Errol Charles Dyers started forging his own path and putting his imprimatur on the music he played. 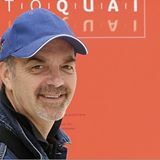 Immersing himself in the burgeoning “Cape jazz” art form, Errol affirmed his “solo” approach with the release of his much-acclaimed Sonesta album and the follow-up Kou Kou Wa. Other artists tapped into his undoubted talents and a fair few recordings featuring the “ghoema” sound has Errol on guitar. Most of his contemporaries would attest to the “quiet” Errol, but he could also be quite vocal when it came to his pet hates – artists being ripped off and his total aversion to local politicians who failed to support them. At his funeral at the weekend, his brother Leon, channeled Errol’s views quite succinctly in a scathing delivery that left no one in doubt about how Errol felt about the lack of support for the arts and for musicians. The family did not want any politician to be part of the proceedings. Leon’s address can be heard here and once again brings into focus the need for more of the stakeholders in the industry to be engaged in providing for musicians in their lifetime. The discussion needs to happen – again!! Like I said at the beginning, I did not know Errol all that well personally. I will leave it to others who knew him a whole lot better to detail the measure of the man. 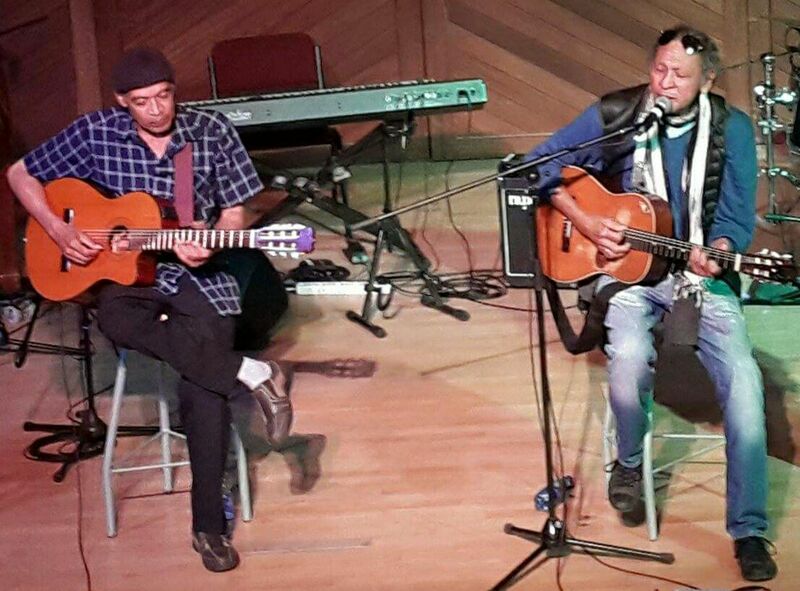 Errol Dyers with Steve Fataar. The two did gigs together in recent years. “A pleasantly quiet demeanour that was innately a power, coupled with extraordinary ‘guitar maestro’ skills – this was my cohort Errol Dyers. Unassuming, this friend, brother, kinsman was essentially a giver. “His gift impacted on all who heard him. “The culture of music that grew in the shadow of that mountain was epitomised by the positive joy that Errol assumed whilst he advocated and spread the gospel of the ghoema in his inimitable skilled forays up and down, all over the guitar fretboard – with the most loving tender exquisiteness. “I personally have been blessed to have had Errol accompanying me on a myriad excursions with songs – ‘indelible’ and unforgettable. “I was introduced to Errol by Basil Coetzee while we were working on a music project called Homegrown in the mid-’90s. “Errol was keen to “get involved” with theatre. He told me about a story and the music he had written about the flower sellers and the people who live on the streets in our city. Playwright and musician Royston Stoffels . . . ‘Errol wanted to get into theatre’. “He described scenarios and characters but had no dialogue. Then he started playing the music and then it made sense to me. “He had written down his ideas in long-hand, which only he knew the order to. He was reluctant to part with it . The working title was The Streets of Cape Town. “At one stage I attempted to apply for Arts Council funding for development of the text. However, it was rejected. We didn’t speak about it again. But still we met regularly and swopped stories, complained about the arts industry, and ‘solved the problems of the world’. “Errol was a reluctant intellectual and had very firm, spiritual focus in and out of performance. “He was a vegetarian. One of his catch-phrases, when the topic of diet came up, he would say, ‘I don’t eat anything with eyes’. “In a production of the play Kanna hy ko hystoe by Adam Small, Errol and the late Marji Geldinhuys provided a haunting music to the spoken text. Some of his own songs featured in the production. “Errol was passionate about his roots. He was determined and uncompromising in his mission to express his own unique music style. “When he played the traditional Kaapse liedjies, it was refreshing! 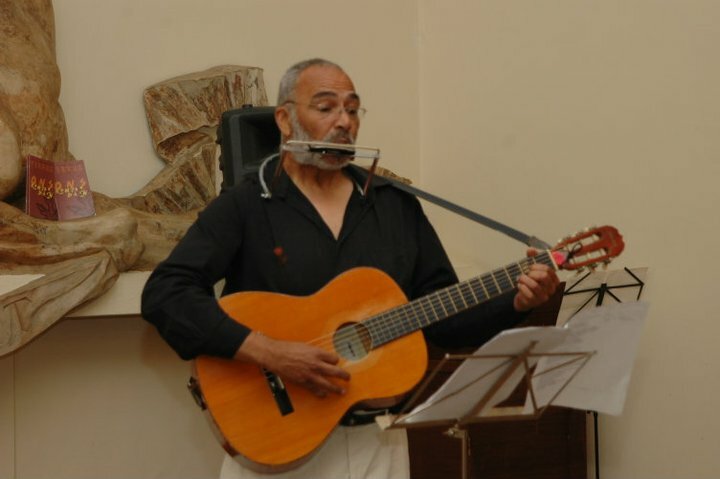 He and Marji embarked on a “Cape Town story” project, which played to visitors to our city at the District Six Museum featuring these songs. “In my opinion, one of the most superior and definitive South African musical collaborations was that with Basil Coetzee. Guitar and saxophone – what a sound! “One of the things that Errol often said to me was “I just want to tell my story”. “Errol was never signed to my company but he was used as a session guitarist with other artists in my stable, like Robbie Jansen, Basil Coetzee and Coenie de Villiers. He also recorded with the Cape Jazz Band project on Musical Democracy on which he wrote NY 29. “I did however publish his stuff. “He was a cagey guy, and justifiably so. He was almost too careful too the point of not taking opportunities. But he was a chameleon. He could play Jimi, J.J. Cale, jazz. He was a very talented, professional musician with many sides. “He wasn’t long term with any one band. That’s what characterised his career. He was justifiably cynical about his opportunities in the business. he took the gigs where they came. “I would say he didn’t develop a career, he didn’t have a vision of a career. He wanted to be a songwriter. He had stuff inside him. He was a wonderful back up man to have because he could do all kinds of things. When he played for me on other projects, he played pure pop. And he did it incredibly well. On the Coenie de Villiers songs, I couldn’t have booked a better session player. He had a wonderful ear for copying. “Errol was special in that way. He was a shy guy, very humble guy. “I did an album, Remember District 6, with him in the ’70s with Sammy Hartman, Winston Mankunku, Basil Coetzee and Monty Weber. We also did stuff with Abdullah on which Errol featured but I really don’t know what happened to it. “I haven’t played with him recently but I can tell you, he was one of our best. He composed beautiful music, he made beautiful music. I had a high regard for Sonesta. “Errol always remained a humble soul, a man of few words but when he spoke you listened and took his advice. “The genuine artistry in his heart came out when he started concentrating on giving people his music – and we loved it. His belief gave us a new sense of pride in who we really are and there was a new generation of young musicians on the Cape Flats who were hungry for that sound. “At the memorial concert many of them were there to pay tribute to him, thanking him for his love for inspiring, motivating and most importantly empowering them to take their music further. All material on this blog is copyrighted. Permission is required to reproduce any part of it. What an entertaining read, dear Hipcat. Thank you Mpho Uhmshloli. Are you related to the Uhmshlolis of Umhlanga or Hluhluwe? Thanks Alison. I would love to see that footage of yours of Errol and give it some exposure on this blog. It is important that we keep the memory of artists like Errol alive.